Hurricane Healing welcomes Stuart Tabrett as the project director and says thanks to Damien Reilly for all his support. Hurricane Healing makes a new donation for 2017 for sales complete up to the 1st of October 2016. Happy New Year for 2017 to all the supporters of Hurricane Healing and the team at the Salvation Army Long Beach, CA !!! HURRICANE HEALING MAKES ANOTHER DONATION! New York Shows for Jessy Tomsko. Thank you very much for your interest in supporting the Hurricane Healing project. This business model has been developed to provide a commercially sustainable donation machine that will allow people to contribute their music and also get paid for their efforts at the same time. This creates a win-win model for all and helps out the people that have been affected by natural disasters. Head to the JOIN PAGE and follow the instructions with Sonic Bids. Check out our new featured artist, Michael Halen. Click on the image to head to their website. 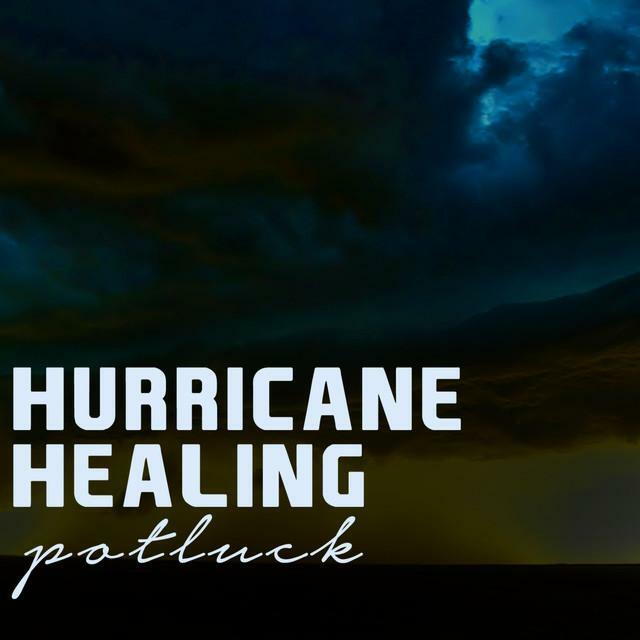 Check out the new "Hurricane Healing - Pot Luck" compilation album, which is out now through iTunes! By downloading the album, you will be contributing to the Hurricane Healing cause, which helps victims re-establish their lives in natural disaster zones all over the world. Click here to download the album. Check out the Hurricane Healing MySpace! Listen to songs, send us a message, spread the love.